When there is more rain to come and it gets colder, you need good winter clothes to protect you. MASCOT can help you with that. We have a large selection of weather protective winter clothes in the form of winter jackets, winter gilets, winter boilersuits, winter bib & braces and winter trousers. All products are very durable and made functional with many different pockets, including pockets for tools. The comfort is also highly prioritised as several products have stretch material inserted to ensure the freedom of movement. In order for you to keep warm, MASCOT’s winter clothes are lined with the best insulating materials. For example, you can find winter clothes with lining of CLIMASCOT® that is a highly insulating and breathable lightweight material. The lining makes the products feel light to wear, and it ensures that you can get rid of excess heat so you don't get wet and then cold. Many of the winter jackets and winter gilets also have an extended back so you can keep your lower back warm — even when you bend down or stretch. A large part of our winter clothes is breathable, windproof and waterproof so you can keep the rain completely out and at the same time get rid of excess heat. 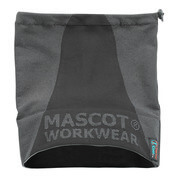 MASCOT’s own fabric, MASCOTEX®, is certified waterproof, breathable and is used on many winter products. If your winter clothes should just be able to withstand a light shower, we also have products that are water-repellent, but with the same, important breathability. Additional features have been added to our winter clothes to ensure extra protection against wind and rain. For example, many of the trouser legs on the winter products feature long zippers with storm flaps that fit tightly over boots and therefore keep the cold out.